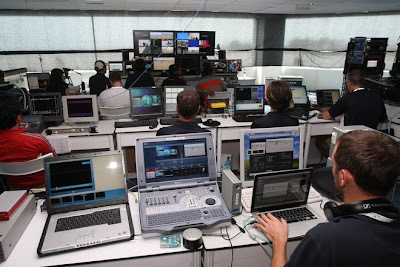 Mission control for the broadcast of Monsoon Cup 2009. Malaysia. 3 December 2009. - What it takes to broadcast sailing to the world - The last event was seen by 30 million viewers worldwide, and beamed into a potential audience of 1.4 billion viewers. Not bad for a match race ragatta. You can see the replays by clicking here to view via the Internet.